Los Angeles (AFP) - San Antonio Spurs coach Gregg Popovich hopes Kawhi Leonard will be shown respect on Thursday when he returns to face his former club in Texas for the first time since his acrimonious departure. 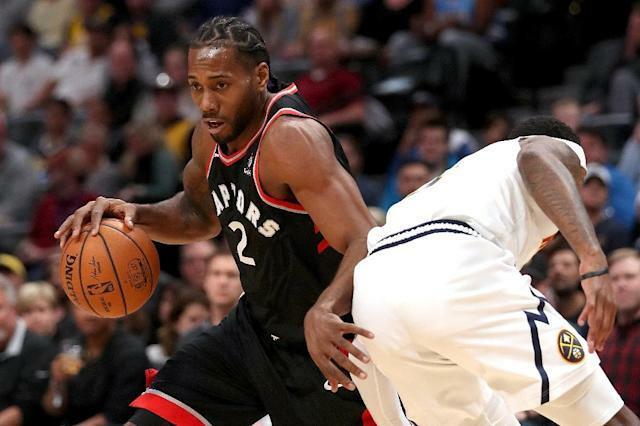 Leonard, who spent eight seasons with the Spurs and was part of an NBA Championship-winning team in 2014, faces an uncertain reception when he lines up for the Toronto Raptors at the AT&T Center for the marquee matchup. The 27-year-old effectively forced a move away from San Antonio last season, downing tools and barely playing a game before being offloaded to Toronto. However Spurs coach Popovich was in no mood to revisit the circumstances of Leonard's departure on Wednesday. "You move on in life," Popovich told reporters when asked about Leonard. "We're not going to redo what's happened in the past in any way, shape or form. It's of no consequence at this point, and it does no good to go backward and talk about this, that or the other." Asked about the possibility that Leonard could be booed by Spurs fans, Popovich said he hoped the former NBA Finals MVP would be given an easy ride. "I don't speak for other people, but I hope that they treat everybody with kindness and respect," Popovich said. "We always have in the past so we'll see." Leonard's former team-mate Patty Mills also brushed off any hint of animosity. "Hoping that it will be a warm welcome back to San Antonio," Mills said. "He's won a championship and grew up here. People have treated him well, the community and fans. "I think that goes with the kind of people the community of San Antonio are, and the class, and how family oriented the city is. That's what I hope, that’s what I expect."